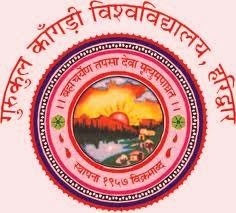 Gurukul Kangri University B.P.Ed Entrance Exams Results 2014:- The Gurukul Kangri University is one of the Leading Universities of Uttarakhand state. It is located in the Delhi-Haridwar Highway, Haridwar District of Uttarakhand state. The Gurukul Kangri University offers various courses to students and every year there are many of students from India and Abroad are studied from this University. As of now the Gurukul Kangri University has declared the results of B.P.Ed (Bachelor of Physical Education) Entrance exams 2014. 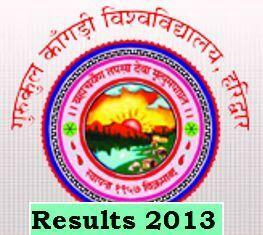 Gurukul Kangri University BBA 1st Year Exams 2013 results declared: -Gurukul Kangri University is leading university of Uttarakhand; it is situated in the Haridwar District of Uttarakhand states. The University offers various PG, UG, Degree, Diploma and other courses to students. And every year many of students are studied from this University. So as of now the Gurukul Kangri university has declared the results of BBA (Bachelor of Business Administrator) 1st year. And the BBA 1st Year Exams was held in 2013 and now all the students are waiting for their results.